Transvision was formed in 1945 by Herb Suesholtz. Suesholtz was born in Flatbush, Brooklyn in 1914. In 1935 he received a degree in chemical engineering from Cooper Union. 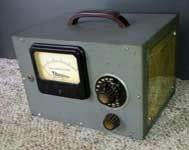 During the war years he worked for RCA as a lead engineer developing CRTs for radar systems on American navel vessels. 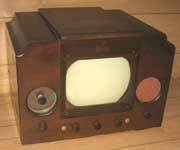 In 1945 he founded Lectrovision, a company that made CRTs. A year later he became general manager of Transvision, a company that made one of the first postwar kit TV sets, a 7 inch model. 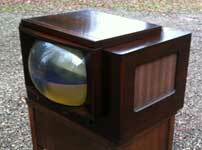 This set used an electrostatic deflection 7EP4 made by Lectrovision. 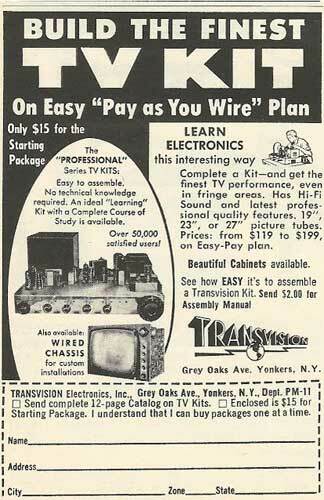 The next year Transvision introduced 10 and 12 inch kits. These sets used magnetic deflection tubes. A short while later they introduced a 15 inch model. With all of these sets you could buy a separate cabinet, with many styles available. Sightmaster, located in New York City, sold sets using Transvision chassis. 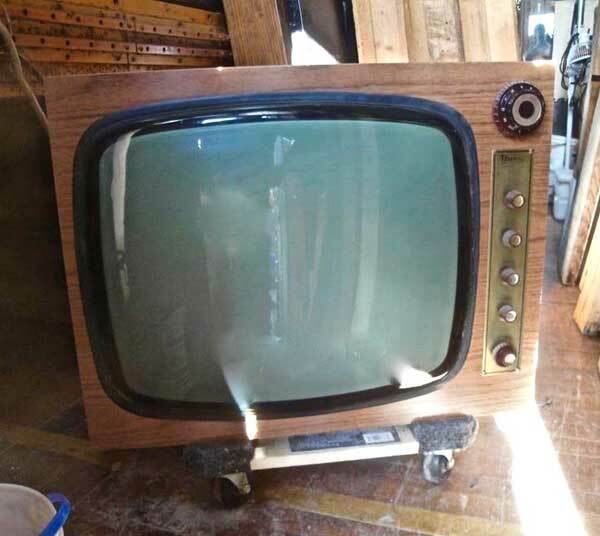 It is unclear if the companies had common ownership, or if Sightmaster simply purchased chassis from Transvision.
. Transvision also sold a variety of accessories for television, including antennas, magnifiers, and test equipment. 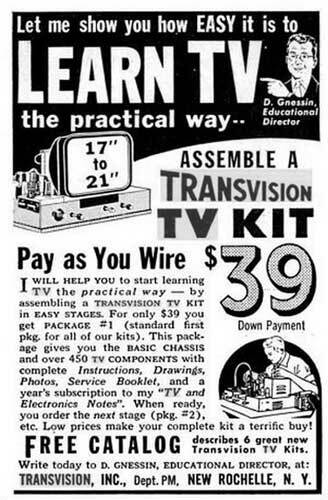 Transvision continued to sell kit sets through at least 1962. 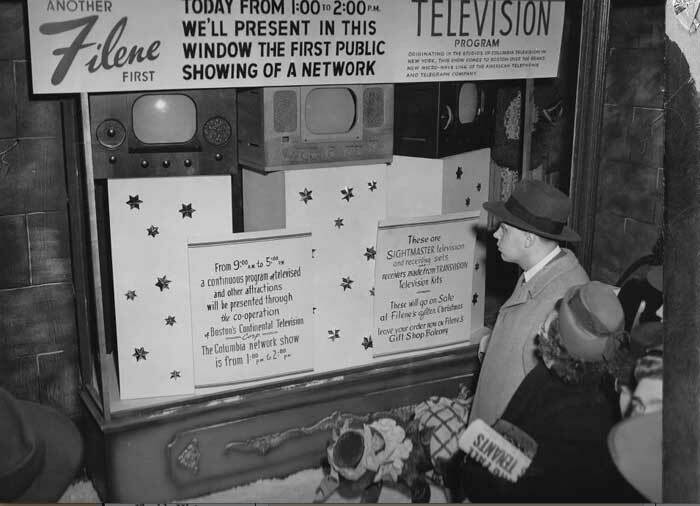 In the early 50s, Transvision became a supplier of TV sets for hotels, motels and hospitals. In an article in the August 29, 1953 issue of Billboard Transvision claimed to have 5000 sets in 400 motels and hotels. The sets designed for hospitals had wired remote controls. In July 1962 Baruch-Foster Company bought bought a majority of the stock of Transvision. After its purchase, Baruch-Foster elected a majority of directors of Transvision. In September, the directors removed Suesholtz as president, apparently because of the operating losses sustained. Suesholtz remained as a director and began an arbitration proceeding over his right to remain as president, evidently basing his claim on an employment contract between him and Transvision. In January of 1963 Pacotronics bought the shares owned by Baruch-Foster and took control of the company. 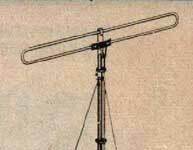 It is not known whether Transvision continued in the television business after this. Suesholtz died in 2006. His obituary mentions that Transvision established a CRT manufacturing plant in Cuba in the 50s which was nationalized when Castro took control of the country. Thanks to Joe and Cassandra Lake for much of this information. Filene's Department Store, late 40s. 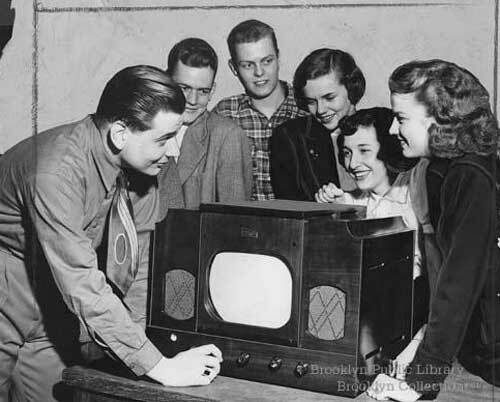 Gift to girls--Boys of the radio-television class at Bay Ridge High School [located at 4th Avenue and 67th Street] present a television set to girls of the school. The boys made the set under the direction of Peter T. Vitale, their instructor. The smiling students, left to right, are Robert McLaughlin of 277 Dahlgren Place, Edward Lundin of 402 75th St., Leonard Swenson of 433 78th St., Marilyn Knudsen of 455 64th St., Carolyn Vertucci of 387 Clinton St. and Zelda Simen of 271 61st St., president, treasurer and secretary, respectively, of the high school's General Organization. Believe it or not but I actually built a number of these kits, starting in 1947 and through 1949. I would take orders for these in my store. The customer would choose the model and cabinet. I would then have to call Transvision and place an order. The cabinets were made outside so I had to get a date when the kit and cabinet would be ready for pick-up. I then traveled to New Rochelle to pick them up. It would take me about a day and a half to build, align, and install in the cabinet. I can never forget the one family in-law that purchased one for Christmas. My shop was in New Jersey and they lived in Brooklyn. Of course it was the day of the big snow strom of 24 inches. Arriving there around 11 AM my brother and I had to install a roof antenna, line up with the Empire State building, adjust the channels and show them how to operate it. Leaving at 1 PM we had to shovel cars and busses so we could get by. Arriving home at midnight what do you think was next? Yes, we had to shovel all that snow to park my car. I never had to make service calls on the sets I built. That's what we call the good old days. Hope you enjoyed my little story about Transvision Television.